Imagine a grocery store where nothing is packaged in plastic and you can take the exact amount that you want of a product -- in your own takeaway jar. 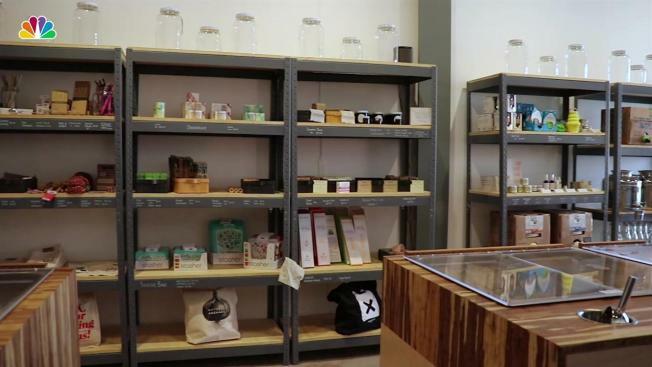 A new shop in Bushwick is offering just that, and Precycle boasts of being the first 'zero-waste,' package-free store selling produce and bulk food. Founder Katerina Bogatireva started Precycle after finding it hard to shop for her family in a sustainable and resourceful way in New York City. After a long and tedious hunt for a spot in her own neighborhood of Clinton Hill, Bogatireva began looking elsewhere and fell in love with 50 Cypress Avenue in Bushwick, a large and airy space flooded with natural light. Founded in December of 2018, the concept of Precycle is simple: bring your own clean containers, fill them with whatever bulk product you want and pay by the weight. Local produce without packaging is also available, making it even easier to manage your waste levels. Customers who don’t have their own bags can pick up a branded Precycle tote by Suvadesign at checkout. Bogatireva believes that allowing her customers to get however much or little they want is the easiest way to reduce and eliminate plastic and food waste. 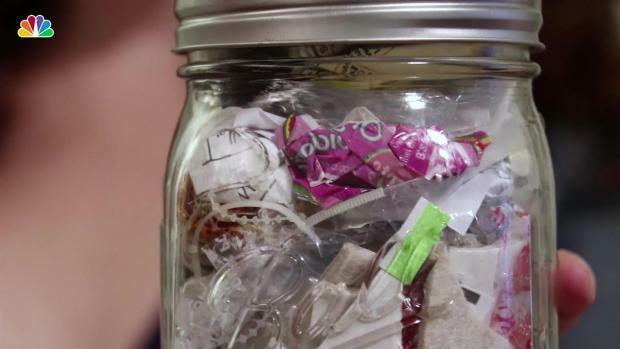 One woman is showing us how to reduce the number of plastics we use each day -- and you won't believe how little waste she has created in the last 7 months. “I try to source everything as local as possible because it allows me, as a business, to avoid unnecessary packaging. I find that local businesses are more willing to work with you on container exchange programs, and everything is a bit more feasible.” Bogatireva said.